Over the years we have been involved in many projects from concept to deliver stage, sourcing and supplying equipment for projects including shop refits, cinema receptions, call centre refurbishments and more, for a very diverse client base including multi national facilities companies, HMRC, and other government bodies. 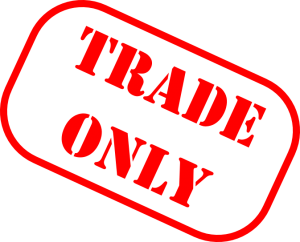 We have a special arrangement with a number of our suppliers in this area which means that we get cracking terms, on the condition we are supplying to genuine business users only, so we reserve the right to ask for proof of trade status when you place your first order. That being said a lot of the equipment we offer would look a bit ugly in a home setting so we might question your sanity as well. We will check prior to dispatch of first of first order so if you are in any doubt please get in touch, but also please do not be offended if we get in touch with you for more information, Google is a powerful tool but it is not 100% foolproof.